Texas in Her Own Words is a peek into the Texas psyche. It explains why Texans are the way they are . . . where all that attitude comes from. This work is the result of a statewide search for what author Tweed Scott calls the “T-Chromosome.” Texans are different but why? Scott went statewide to find the answers to three basic questions. 1) What makes Texas special? 2) Why is this place so different than anywhere else on the planet? 3) If and when it applied, what does it mean to you personally to BE a native Texan? Scott shares some remarkable answers with you throughout the book. In the end, he learned that all Texans share four traits or attributes. When you finish this book, you will understand why Texans are the way they are. IF you are a native Texan, chances are you will find some of yourself between the covers of this book. It’s a fun read. “It’s a Texas thing, you either have it, or you don’t. Few people can define such an emotion, a feeling, a pride that is embedded so deep. This book made me cry and smile at the same time. Texas in Her Own Words helps to explain what ‘Lone Star state of mind’ is. . .” — TJ Greaney, Publisher, Countryline Magazine. In “Texas in Her Own Words” author Tweed Scott combined over 60 interviews from Texans on their feelings of living in this great state. Most of the interviews are straightforward with being some actual question and answer interviews with Scott. This book brings a varied group of people together to talk about their heartfelt feelings on Texas. Texas is a diverse state and Scott’s interviews reflect that deep diversity. You’d expect from the variety of the interviews that some repetition of Texas history and feelings will occur but its not overbearing. Texas seceding was mentioned several times. Hands down it’s a beautiful book that includes historical snippets of Texas. It’s a good learning tool like reading about one of the oldest laws in Texas. 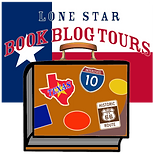 Divided into sections from Texas history, pride, legends, diversity to customs a reader can pick and choose the sections they want to read. My one problem with the book not all the photos were captioned. Photos tell stories in of themselves. One of the best interviews is from the reflections by the former sheriff of Luckenbach, Texas. Another strong point is the Texas State Cemetery history section that provides remarkable information from the first person being buried there to “Old Yeller’s” author. Cemeteries are an incredible source of history. Scott did an excellent job summarizing this important history. As one interviewee stated, “Texas is a tangible, emotional, visceral reaction.” It’s true. Scott’s book gives voice to all those feelings and more through the people he interviewed. Scott’s book may be the most revealing book to date on Texas’ story as told through people who either were born and raised in Texas or have become permanent residents. Tweed Scott is a laugh-out-loud funny motivational speaker and corporate entertainer. He retired from broadcasting after 31 years. His broadcasting accomplishments include operating the highest rated FM station in America and later the 5th highest rated AM station in America. Tweed is an award winning speaker and the author of the three-time national award-winning book, Texas in Her Own Words. His book is sold at the Alamo, the state capitol gifts shops in Austin, the San Jacinto Museum & Battleground, and the Sam Houston Statue & Visitor’s Center in Huntsville. ENTER TO WIN ONE OF THREE SIGNED COPIES!